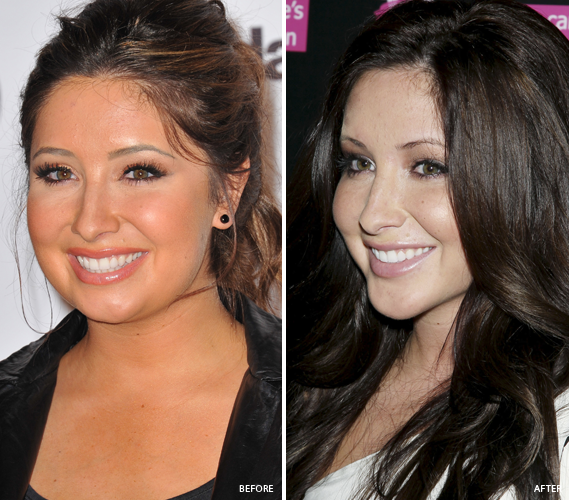 The A-To-Z Of Chin Augmentation – Get Ready For A New Chin! Are you unhappy with the shape, size, or projection of your chin? Want to rectify it for a more balanced look as well as an aesthetically pleasing profile? Well, whether your chin is weak or unbalanced, chin augmentation can be the ideal solution for you. Being one of the most important facial features, the chin must have a projection similar to that of the lips and the forehead. But sometimes the bad bone structure results in chin deficiency. If it is true for you, the chin enhancement surgery is what you need to explore. Let us dig into it and know everything important. ‘Chin Augmentation’, also medically termed as ‘Mentoplasty’ and ‘Genioplasty’, is basically a cosmetic surgery in which the shape of the chin is altered or enhanced by including an implant or changing the positions of certain bones. The fundamental structure of the face is adjusted in this process by increasing, decreasing, or rounding the chin, thereby improving the balance among various facial features. ‘Chin Augmentation’ is often performed along with ‘Rhinoplasty‘ in order to enhance the overall profile of an individual. Why Opt For Chin Augmentation? Over the last few years, the chin augmentation trend has increased dramatically among both women and men aged 40 years or older. As mentioned before, it is a way to bring a better balance between the chin and the nose. Whether you have a receding chin, a double chin, or even a sagging chin, this surgery can rectify it beautifully. It also works as an ideal resort for people with a pointed or a square chin. At the same time, it makes the nose appear smaller or bigger, the neck appear longer or shorter, and the jawline appear sharper to create a more youthful look. In short, chin augmentation is a perfect solution for defining the entire chin area. When it comes to reshaping the chin, a simple implant is a right choice. During this procedure, you will remain under the effects of general anesthesia and a relaxing pill. The biological Teflon- or silicone-made implant is placed securely in a ‘sack’ or ‘pocket’ (submental placement) formed ahead of the chin bone and beneath the muscles by making an internal or external surgical cut. Finally, sutures are used to keep the ‘pocket’ closed as well as attach the implant with the chin bone. Submental Placement of chin implants causes lower rates of infection and offers a faster recovery. In case of major enhancements, the position of the jaw bone is altered by keeping the patient under general anesthesia. The bone is accessed by making an internal surgical cut by the side of the lower gum on a natural crease beneath the chin. Another cut is made through the jaw bone with the help of a chisel or bone saw. Now, the bone is moved to the desired position and the cut is closed with a bandage. In this technique, the incisions made are only a few inches in length and minimally invasive. The total time required for carrying out the chin augmentation procedure is somewhere between 1 and 3 hours. Chin implants are permanent and you do not need to get the procedure repeated in future if everything goes fine the very first time. Just like all other surgeries, it also comes with tenderness, swelling, pain, lack of feeling, stretching sensation, feeling of discomfort, etc. up to the first 3 months. However, you may expect to get rid of these gradually with the help of medicines. Instead of eating solid foods, live on soft diet and drinks for the first couple of days so that chewing can be avoided. It will take 5 to 7 days to remove the stitches as well as the bandage. Also, make sure that you put on a brace during sleeping for next 4 to 6 weeks. Start doing light activities after 1 or 2 days of the surgery and switch to your regular work schedule after 1 week. Chin augmentation is the most effective solution for different types of chin deficiencies. As the jaw bone is manipulated as per the requirement of the patient, the facial proportions get more balanced and a perfect look is achieved. Being a highly customized procedure, the results obtained from this surgery look much more natural and realistic. It is a comparatively easier surgery, which can be performed efficiently within a very short time. The costs of the chin augmentation surgery range from $3,000 to $5,000 on an average. This includes the expenses related to anesthesia, surgical facilities, fees, medications, and everything else.